Food is a fast-growing category on YouTube, and it expands far beyond standard how-to recipe videos. Consider trying these strategies to make your channel a true destination for food lovers. Hungry to feed those food lovers? Turn your channel into a tasty destination your fans will drool over. 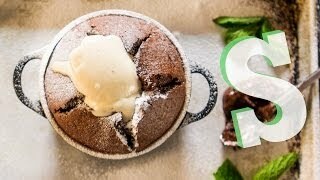 In food videos -- unsurprisingly -- the food often takes center stage. Many successful food creators showcase food in interesting ways, using creative content formats and compelling thumbnails and titles. Food close-ups: Many food creators, like SORTED Food, aren’t shy about food close-ups. Viewers often want to see detailed shots of the food throughout the entire video -- the raw ingredients, the final product, and everything in between. Think about the must-have food close-ups you want to capture before you shoot. Highlight the finished product first: Give folks a glimpse of what the finished product looks like at the beginning of the video; it’s a great way to hook your viewer’s attention. Food-centric thumbnails: Thumbnails are effectively your video’s billboard, a chance to lure viewers in with irresistibly clickable images. Notice how Food Wishes showcases beautiful, crisp close-ups of the food in their thumbnails. Clear and accurate titles: Your title and thumbnail should always clearly convey what the video is about, but this can be critical for food channels. Consider listing the the recipe name or food first, and save the branding for later. If you’re teaching a specific recipe, it’s important to think about how you can make it easy for viewers to follow along and learn by applying some basic learning principles. Clear, step-by-step walk-throughs: Many food creators -- like Byron Talbott -- clearly show viewers what they’re doing as they walk through each step in the recipe verbally. Hearing and seeing the steps simultaneously can reinforce what you’re trying to teach. A preview of ingredients and tools, up front: MyCupCakeAddiction gives viewers a preview of all the things they’ll need before diving into the recipe itself. Time-lapse visualizations: For recipe videos, there may be instances when you want to show time elapsing -- whether you’re fast-forwarding through specific steps or illustrating cook time. What are some creative ways you can represent this? Byron Talbott talks viewers through each step in the recipe as he shows them exactly what he’s doing up close. 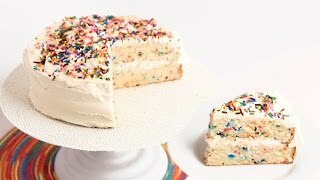 MyCupCakeAddiction walks viewers through the ingredients needed to complete the recipe at the beginning of the video. While some viewers watch food videos for sheer entertainment, others watch to improve their cooking skills and ultimately try out the recipes in their own kitchens. Many successful food creators encourage viewers to “do it yourself” by offering tools to make this transition as seamless as possible. Consider listing all the required ingredients, measurements and time for the recipe you’re showing in the description field. Many viewers will likely be viewing on mobile, and this will make it easier for them to reference. Think about linking to the full recipe on a separate website, like Hilah Cooking in the video description or as a card Viewers can print the recipe, take it with them to the market, and later reference it while they’re cooking. 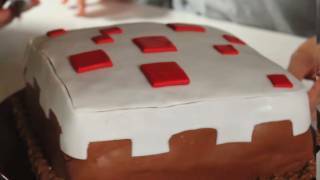 Provide links to equipment needed: Notice how Rosanna Pansino provides useful links in the description so that viewers can easily find and buy what they need to complete a given recipe. Hilah Cooking often uses the description field to link to her own website, where she provides full printable recipes for her viewers. 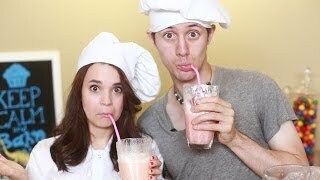 Rosanna Pansino shows viewers where they can find and buy the equipment she uses in her recipes. There are lots of food creators on YouTube, so it’s important to differentiate yourself from the crowd. Most of the popular food channels find a niche that plays to their unique strengths -- whether it’s mastery of a specific cuisine or targeted content for a specific demographic. Unique channel branding: Your channel branding -- channel description, banner, avatar and channel trailer -- provides an opportunity to let your audience know what your channel is all about. Remember to think beyond just desktop; your branding should be clear on all devices. Consistency: Once you find what makes you unique, it’s important to communicate your schedule to your viewers and consistently deliver on what you’ve promised. For example, Cooking with Dog features a new upload every Friday. 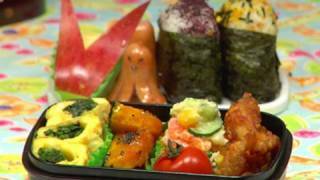 Cooking with Dog focuses on popular Japanese dishes. The twist? Francis the dog hosts it, along with a mysterious Japanese chef whose name is not disclosed. Even among your core audience, viewers have different needs. Some viewers may be brand new to cooking; others may be total pros. Many successful food creators offer the basics for beginners, and this highly searched, evergreen content can continue to rack up views long after upload. 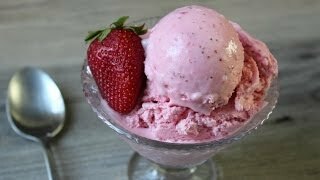 Standalone basic cooking videos (e.g. “How to poach an egg”): Lots of food creators are finding success creating basic cooking videos aimed at beginners. Viewers will likely continue to find this evergreen content long after upload. Link to the basic cooking videos: When you reference simple steps in complex recipes, consider using cards to link to videos about these steps to create a richer viewing experience. Hilah Cooking’s “Learn to Cook! Cooking Basics” series gives viewers who are new to cooking the instruction they need to master basic skills. If food education is at the core of your channel’s mission, great! But that doesn’t mean you can’t have fun while doing it. 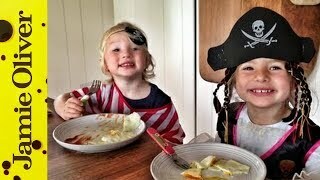 Some of the most popular food channels are just as entertaining as they are informative. Adding a not-so-serious slant to your videos can make learning more exciting and gives viewers a reason to come back for more. Have fun! Brainstorm creative ways to turn a standard how-to video into something special and shareable. This is your chance to entice viewers who may not be interested in the specific skill or task you’re showing, but may want to be entertained. 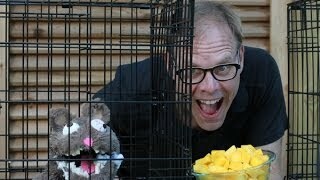 Utilize thumbnails: Alton Brown’s videos often take a comedic or otherwise unconventional approach, and that’s clear from the thumbnails, too. Tent-pole events: Feast of Fiction creates fun videos around tent-pole events or trending topics that viewers are buzzing about; consider how you might be able to apply this tactic to your own channel. These events may be directly related to food, or just tangentially related. Many self-proclaimed foodies aren’t actually chefs (or wannabe chefs!) themselves, but they’re very interested in the culture and stories surrounding food. By expanding their repertoire beyond recipes, they not only offer a richer destination for their core audience, but also tap into potential new viewers. Highlight compelling food personalities or stories, like MUNCHIES. Give viewers a glimpse into your daily life, like Jamie Oliver. Provide food or restaurant reviews, like Daym Drops. Get the most out of your shoot: Consider shooting lightweight, vlog-style videos to keep your audience engaged in between your core videos. Think of your channel page as a virtual cookbook, a rich destination for food lovers to browse the latest recipes. Many successful food creators organize their content to make it easy for viewers to find exactly what they’re looking for. Content organization: Notice how Nicko’s Kitchen and Bondi Harvest organize their content by meal type, diet, celebration or season, to name a few. This can help viewers easily find the videos that are most interesting to them. Think of your channel as a cookbook -- make sure you’re organizing it in an intuitive way. Channel trailers: Your trailer can showcase all the great content on your channel and ultimately will help convince new viewers to subscribe. Consider giving folks a tour of your channel page so they know how to find what they’re looking for. Nicko’s Kitchen’s channel page allows viewers to peruse recipes by category (e.g. fast food) or ingredient type (e.g. Nutella). Bondi Harvest’s channel page is organized so viewers can easily find appealing content. Viewers can view recipes by meal or by ingredient, for example. Many successful food creators find small but meaningful ways to recognize their subscribers, leading to more loyal and engaged communities. Ask viewers what they want to see next: Soliciting feedback from viewers is not only a great way to generate ideas for new videos or formats, but it can also empower viewers. Laura in the Kitchen lets her viewers know that their opinions matter by giving shout-outs to submitters. Feature viewer videos in curated playlists: Some of your viewers may be food creators themselves -- check out their channels! Consider selecting your favorite videos and putting them into a playlist like Tastemade. 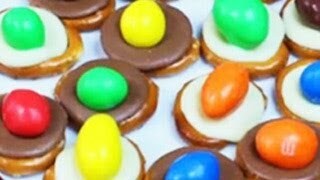 Invite viewers to submit their best food creations: SORTED Food often gets viewers involved in the conversation by encouraging them to submit their best food creations -- or variations on SORTED Food recipes. Tastemade creates playlists by curating videos from the Tastemade community. Collaboration is a great way to tap into and attract new audiences. Popular food channels often find creative ways to work together with fellow YouTubers, both in the food world and beyond. Identify channels with a similar audience: Find out which other channels are similar to yours. Guest appearance: Think about inviting popular YouTubers to appear on one-off episodes, like Rosanna Pansino. 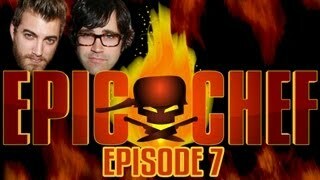 Guest-based show: Consider creating a recurring series with at least one guest featured prominently in each episode, like Epic Meal Time’s Epic Chef. Subscriber collaboration: Find your most engaged and influential community members and feature them in your videos.